Estói is located bewteen Faro and São Bras de Alportel next to the motorway IP1 (Exit No.5). From the church in the center of this charming old village it's a 5 min. walk to the palace. The "Palácio do Visconde de Estói" (palace of the viscount of Estói) has been built at the end of the 18th and the beginning of the 19th century. This beautiful Rococo building, originally used as a pleasure seat, has been under reconstruction for several years and now serves as a Pousada, opened in 2009. 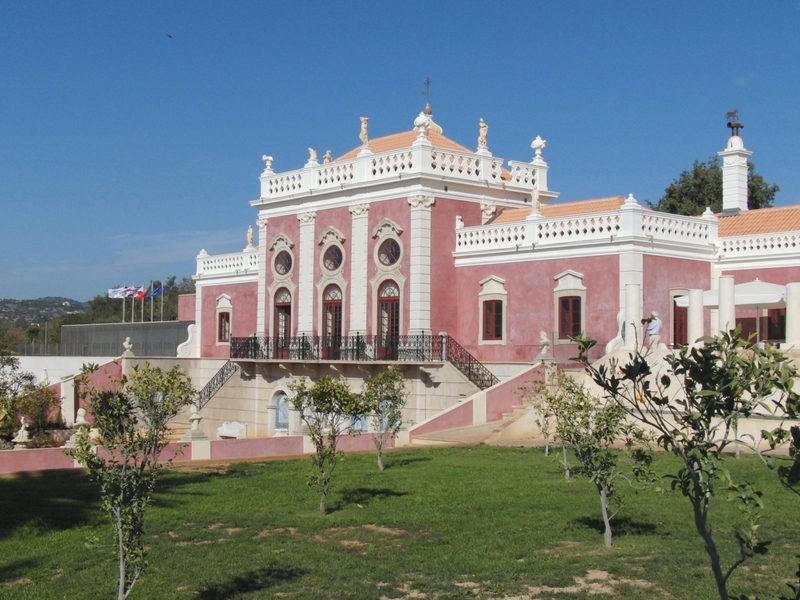 The palace is one of the finest buildings in the entire Algarve.